The mobile network dials in strong growth in emerging markets. Challenging conditions in Europe and mega investment hit Vodafone’s pre-tax profits, sending them plunging 73% to £406m, the company announced today, as it prepares to launch a UK home broadband service next spring. Organic service revenue, which strips out handset sales and other one-off sales, fell by 6.5% in Europe in the six months to September, offsetting 5.7% growth in its Africa, Middle East and Asia Pacific (AMAP) division. This pushed overall service revenue down 2.8% to £19.1bn, not great but an improvement on previous performance. It was also better than investors expected: shares were up almost 6% to 220p at midday, having fallen more than 12% this year. ‘European market conditions remain challenging mainly due to continued competitive headwinds and the difficult macroeconomic conditions, leading to an overall fall in organic service revenue,’ the company said. What to do about those pesky headwinds, eh? Chief exec Vitorrio Colao remained upbeat though, suggesting that the company’s £19bn two-year investment plan 'Project Spring' was beginning to bear fruit. The plan is to increase Vodafone's 4G coverage in Europe and 3G coverage in India and lay more fibre in Europe. The company also confirmed plans to take on BT by offering home broadband from next spring. 'Our markets continue to be highly competitive, and regulatory and macroeconomic risks remain. However, we are not yet half way through our investment programme, and there is still much more we will do to build a differentiated service for customers and improve perception,’ Colao said. Rival telco TalkTalk also posted results today, showing a 3.3% uptick in revenue to £871m, 44.7% growth in EBITDA and 300,000 new TV customers. Britain's communications companies are increasingly beginning to resemble each other, as mobile operators invest in broadband and the likes of BT expand into TV and mobile, becoming 'quad-play' providers. As the formerly distinct categories meld into one, the prospect of consolidation looks more likely than ever. 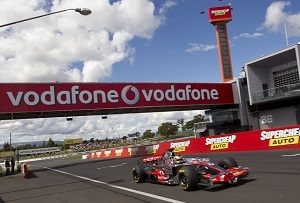 The question is will Vodafone be an acquisition or a buyer?